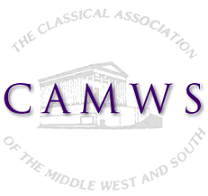 CAMWS Newsletters are sent to Constant Contact. Lists of members of CAMWS (who are to be 'Authenticated' users on the main CAMWS site) may be exported to file. This is done from the People admin menu on the main CAMWS site. These exported lists of members can be added to Constant Contact newsletter mailing list, and list for receiving CJ Reviews. Automated integration with Constant Contact is built but switched off on the CAMWS site because it was not clear it would ease the workflow. On the CJ site, a Constant Contact signup box is provided to allow non-members to sign up to receive CJ Reviews with manual intervention.